Commission to make a landmark for this newly built business area, called Cascade, in Groningen city. The post modernist architecture made me look into the utopian and dystopian emotions around the two recent turns of the centuries. 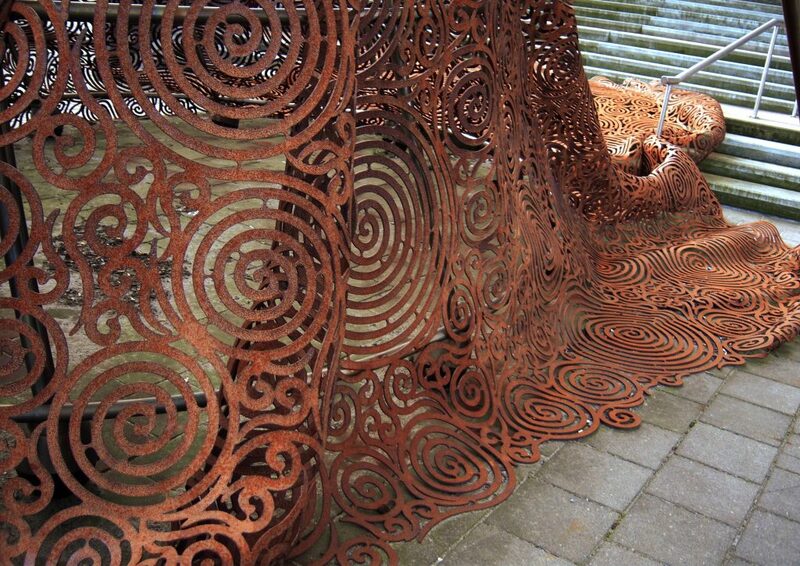 Trends in art, design and fashion showed both times a disquieting fusion of nostalgia and futurism. The astonishing parade of columns and pillars in this architectural ensemble created the need of a distinguished figure to lead the way. U l t r a heralds the 21st century with her eclectic apearance, merging the travelling circus and the upcoming of cast iron and porcelain dolls of the 19th century with the cyborg concept and tribal embellishments of the 20th century. 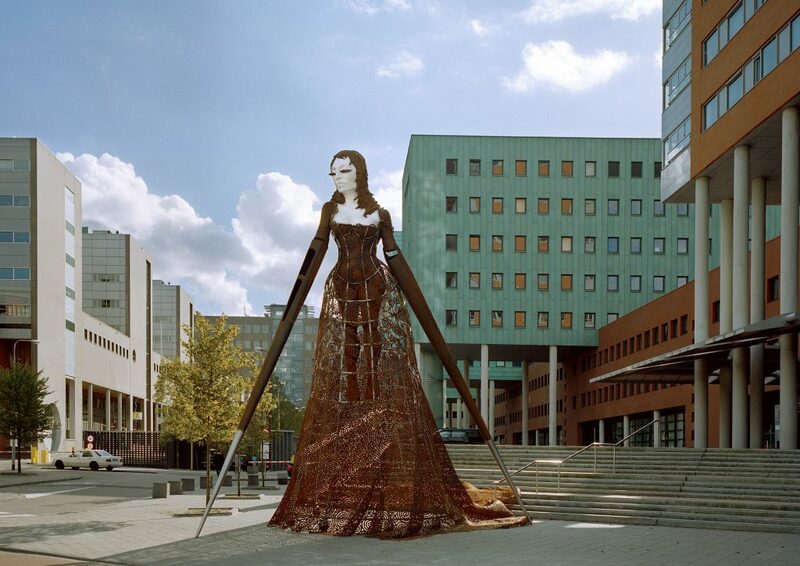 Silvia B.’s last major work is U l t r a, an eight-meter-high sculpture soon to be installed in Groningen. U l t r a is a voluptuous woman’s torso on a child’s body, clad in an extravagantly proportioned period dress: a crinoline with queue de Paris. Ultra unites the multiple facets of Silvia B.’s work: the beauty of the other; the vaguely sexual connotation that permeates all her images; the artificial and the human. 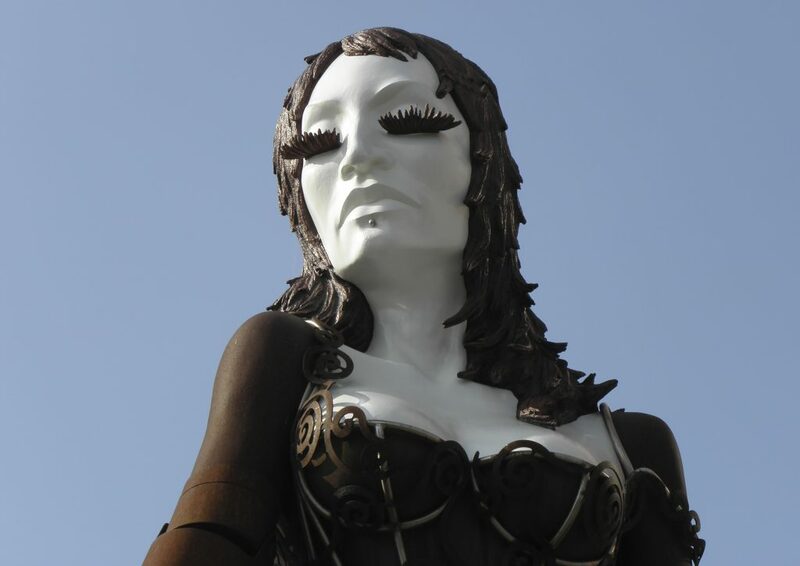 In U l t r a, this totality is expressed in an alluring, gigantic – and, only on closer inspection – deformed beauty: an eight-metre-tall contradictio in terminis.